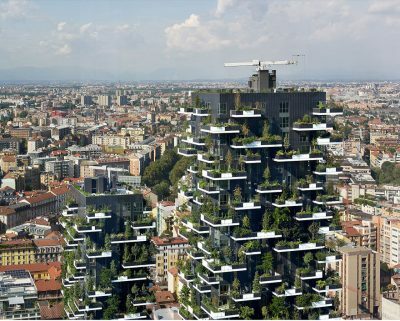 When Stefano Boeri Architetti presented the idea of installing a vertical forest in Milan, people were beyond thrilled with the idea. 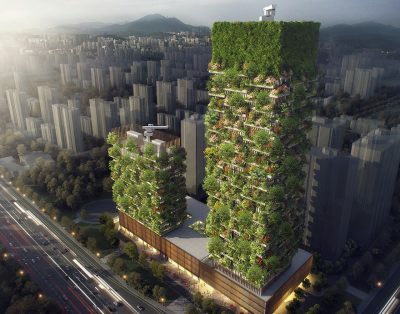 Following the success of that introduction, the architecture firm now seeks to construct similar, but in Nanjing, China. Inhabitat reports that two towers which overlook the Nanjing Pukou District will be completed by the end of 2018. 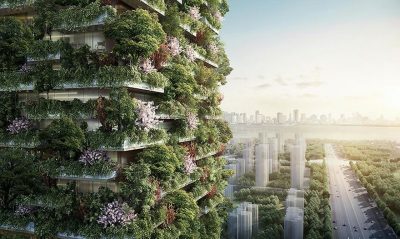 Overflowing with 1,100 trees from 23 local species, as well as 2,500 cascading shrubs and plants, the installation will clean the city’s air by producing 132 pounds of oxygen every day. Additionally, passersby and tourists will be greeted with a breathtaking view. The buildings, of course, will include more than just plants. The taller tower (656 feet) will hold offices, a museum, a green architecture school, and a rooftop club. And in the second tower (354 feet), a 247-room Hyatt hotel will be found, complete with a rooftop swimming pool. Shops, restaurants, and a conference hall will also be included in the second building in a podium that will rise 65 feet. Because city air is notoriously dirty with pollution, those who stay in the hotel will have the unique opportunity to benefit from the oxygen produced by the plants as well as form a closer bond with nature. 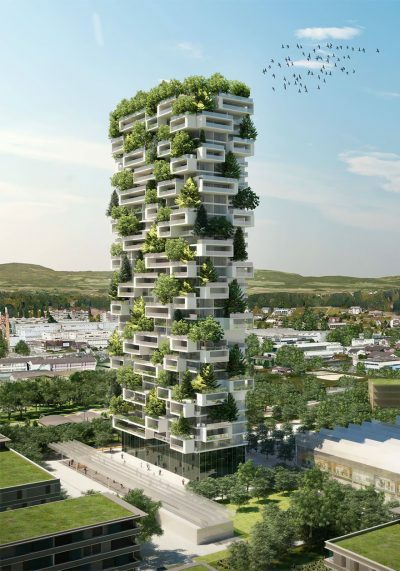 According to Stefano Boeri Architetti’s press release, there will be approximately 600 tall trees and 500 medium-sized trees, in addition to the other foliage, that will help regenerate biodiversity in the area. The project is being celebrated because it will be the first green tower in all of Asia. Investors are also satisfied with the fact that the conceptualized idea will further modernization efforts in the south of China’s Jiangsu province. Because of the potential economic boost the towers will provide, Nanjing Yang Zi State-owned Investment Group Company Limited is promoting the project. 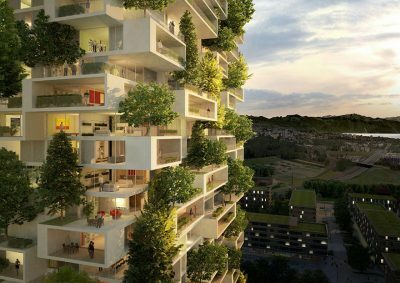 It may be the first-of-its-kind in China, but the architecture firm intends to build more green towers in Shanghai, Guizhou, Shijiazhuang, Liuzhou, and Chongqing.